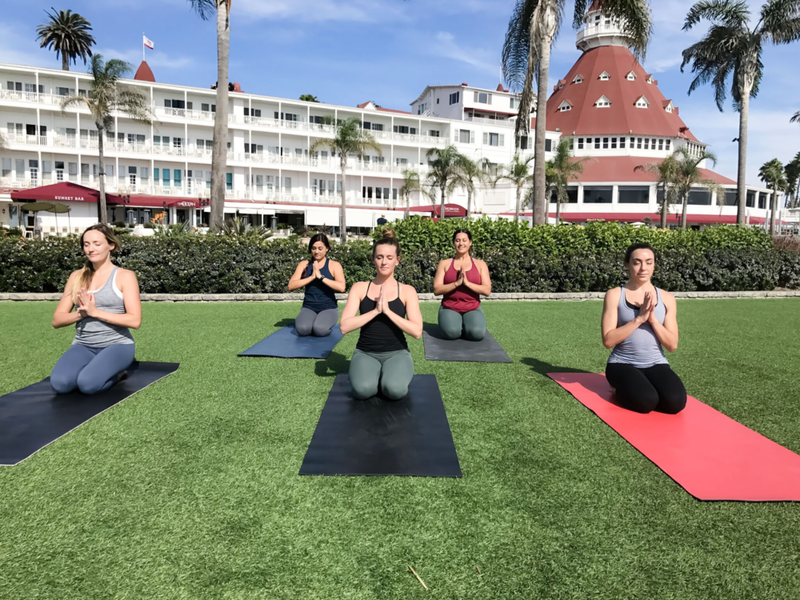 Join lululemon Fashion Valley in partnership with CorePower Yoga and the Hotel del Coronado in a weekly yoga series that give you and our community a chance to connect, give back, and slow down to take a breath this Holiday Season. Proceeds from this holiday series will support OG Yoga, a San Diego based, fiscally sponsored project of Mission Edge 501(c)(3) that brings yoga to underserved communities. Your $20 registration both reserves your space and covers a class for someone in need at one of OG Yoga partner facilities. Class on Nov 5th will be held on the Windsor Lawn, with the remaining classes on the Paseo Lawn. Both lawns are outdoors without cover, so come prepared to practice in cooler temperatures. Bring your own mat, or some will be available to purchase on site.